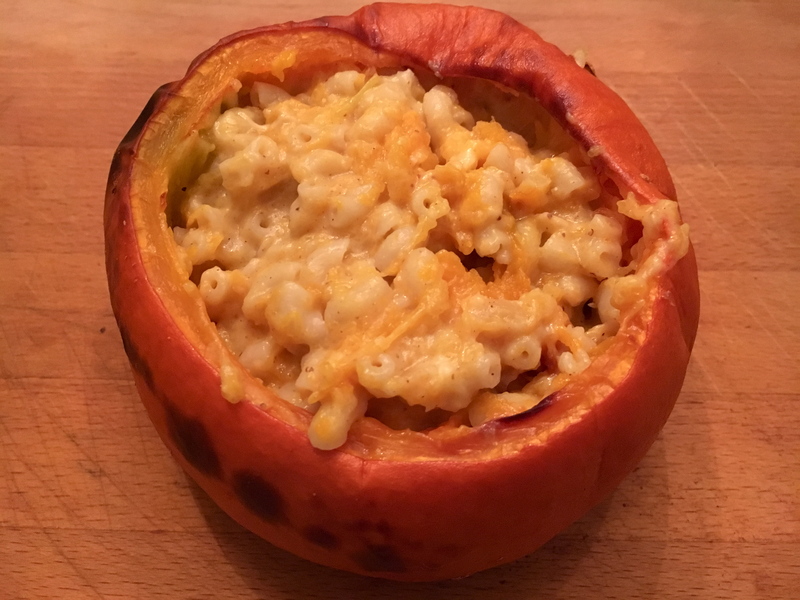 These cheesy, oozy, gooey pumpkin spiced Mac and Cheese stuffed pumpkins are the epitome of autumnal comfort food. 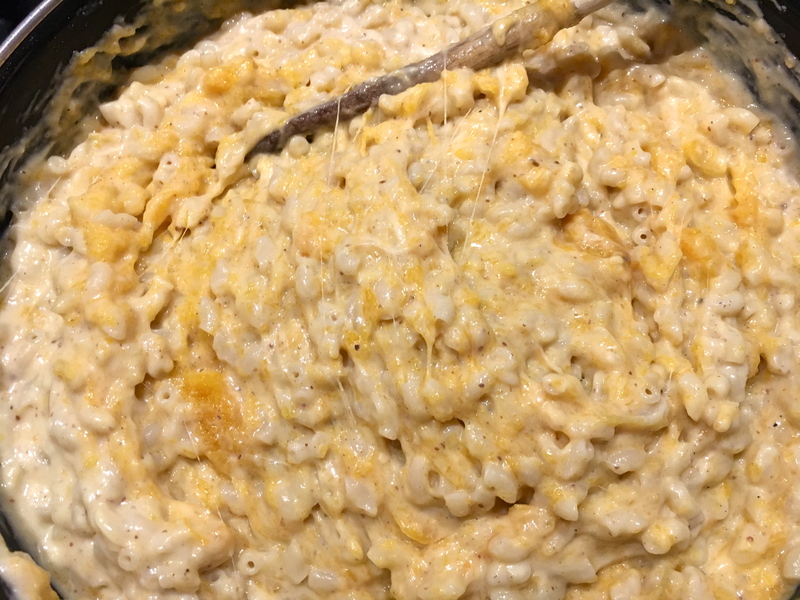 Adding pumpkin or butternut squash puree to macaroni and cheese makes it much velvetier and creamier, but you could easily leave this out to save time. Pumpkin spice is quite a useful thing to have around and you can easily make it yourself; just mix together 3 tablespoons of ground cinnamon, 2 teaspoons of ground ginger, 2 teaspoons of ground nutmeg, 1 ½ teaspoons of ground allspice and 1 ½ teaspoons of ground cloves and store in a container until it’s time to make this Mac & cheese recipe, pumpkin spice cake or mulled apple cider. 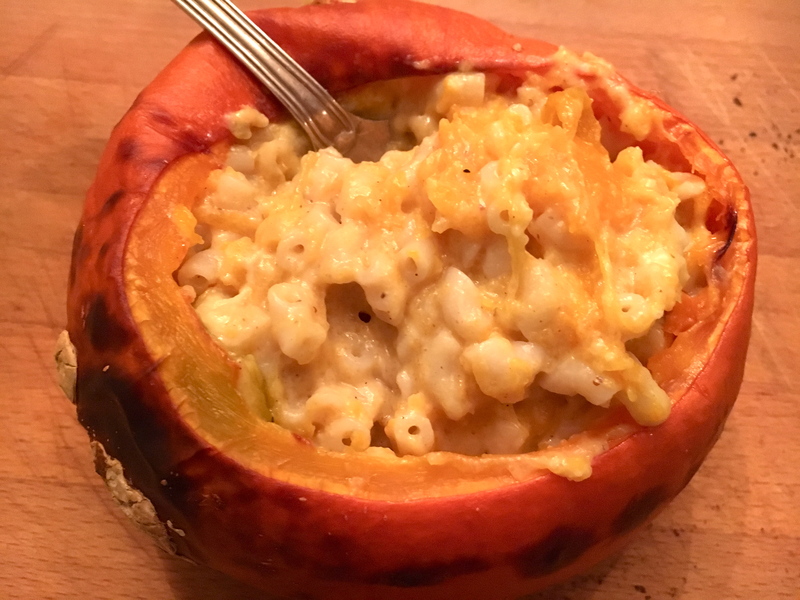 Looking for a healthier pumpkin recipe? 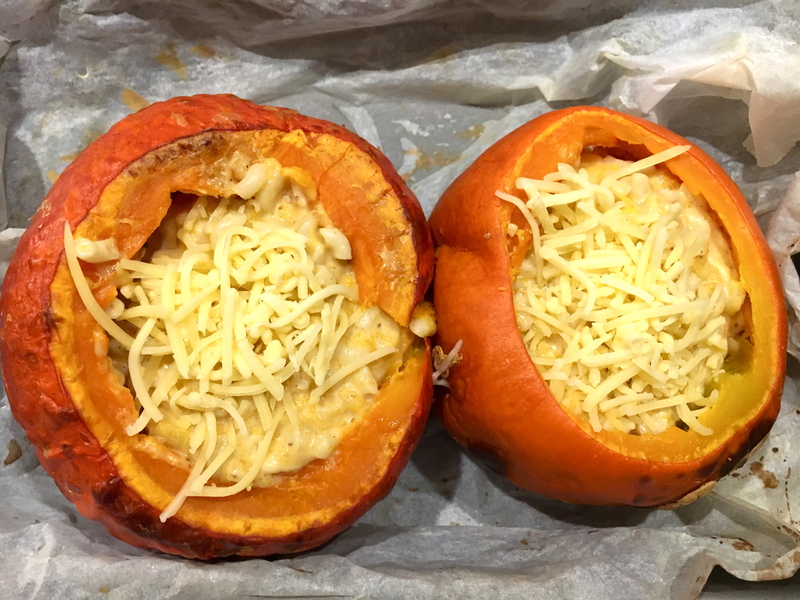 Try this warming pumpkin soup or wild rice stuffed pumpkins. 2. 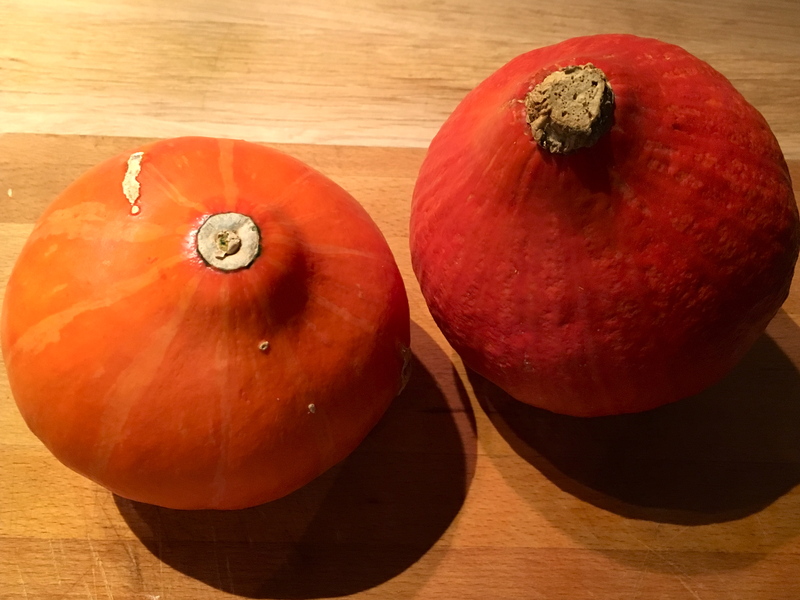 Optional: If you’re making the butternut squash puree, peel the butternut, cut in half, remove the seeds, then chop the flesh into chunks and boil until tender. 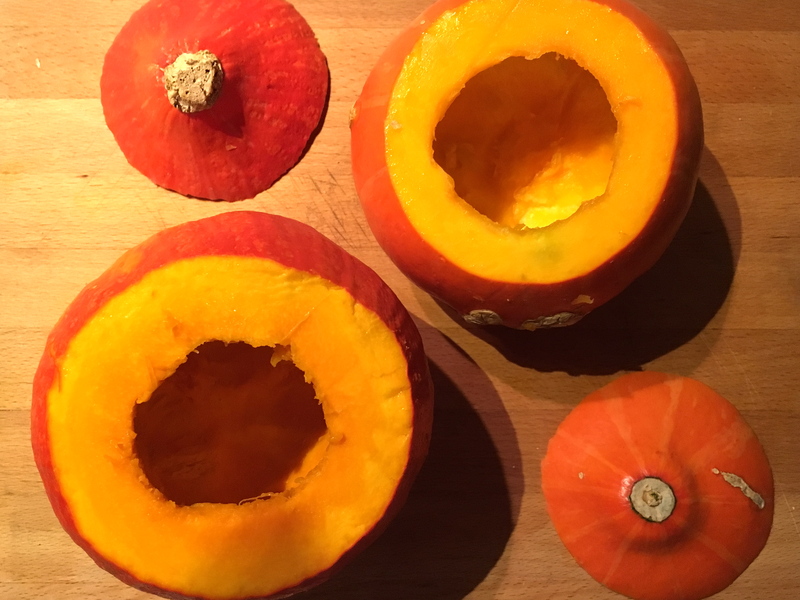 If you’re making a pumpkin puree, cut pumpkin in half, remove the seeds (set them aside to make pumpkin seed snacks), peel the outside and then cut the flesh into chunks and boil until tender. 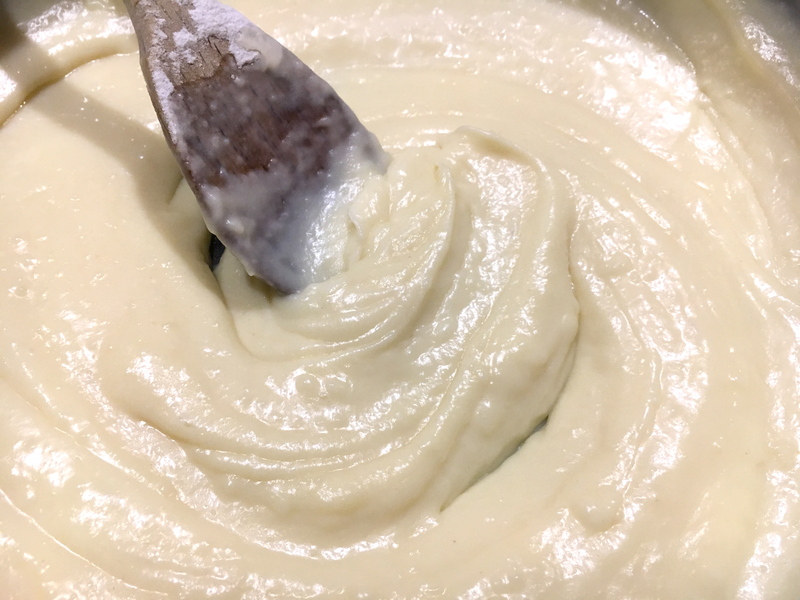 Drain, then mash and set aside. 3. 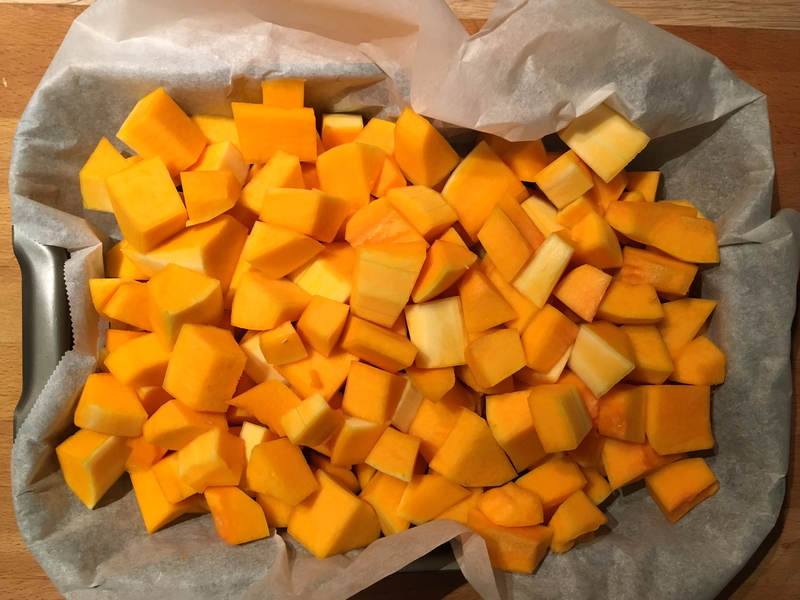 Take your two pumpkins for stuffing, cut off the tops, scoop out the seeds (set them aside to make snacks), place the pumpkins on greaseproof paper on a baking tray, drizzle them with olive oil and place the tray in the oven for about 20 minutes. When you remove the pumpkins from the oven, pour away any excess liquid. 4. Whilst the pumpkins are cooking, bring a large pot of salted water to a boil. Cook pasta as directed on package. (Usually between 7 and 10 minutes). Drain. 5. 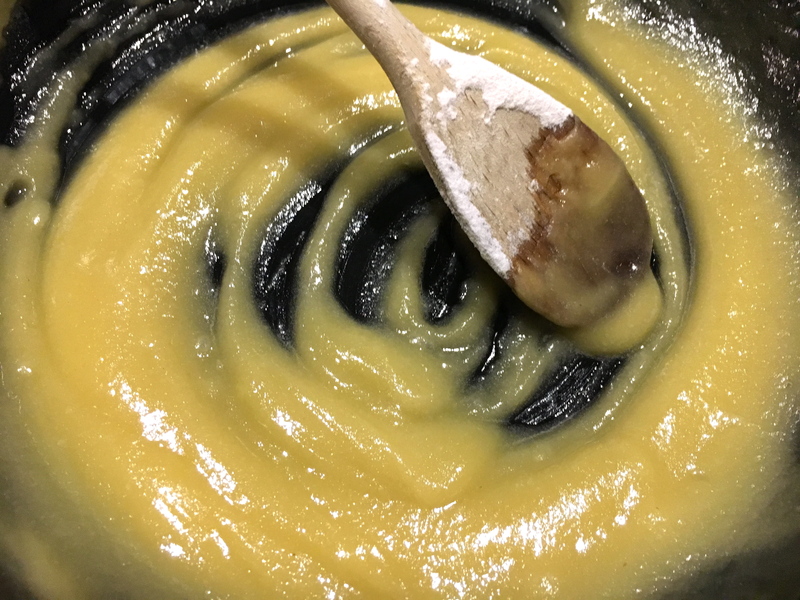 Melt the butter in a large, high-sided pan over medium heat. 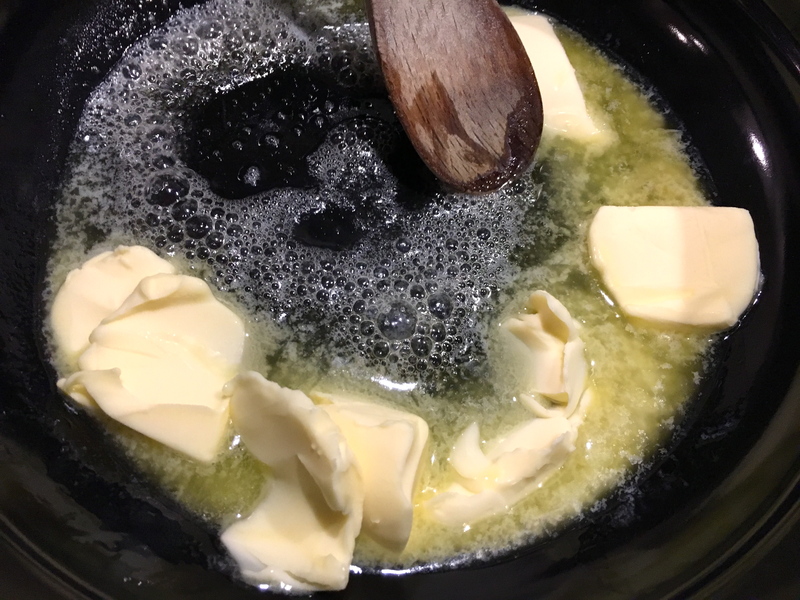 When the butter begins to bubble, add the flour. 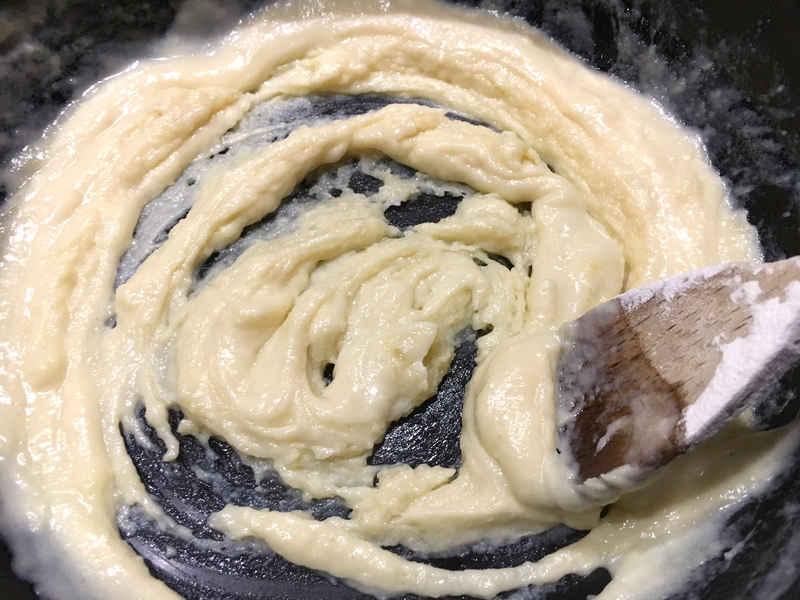 When the butter begins to bubble, add the flour. 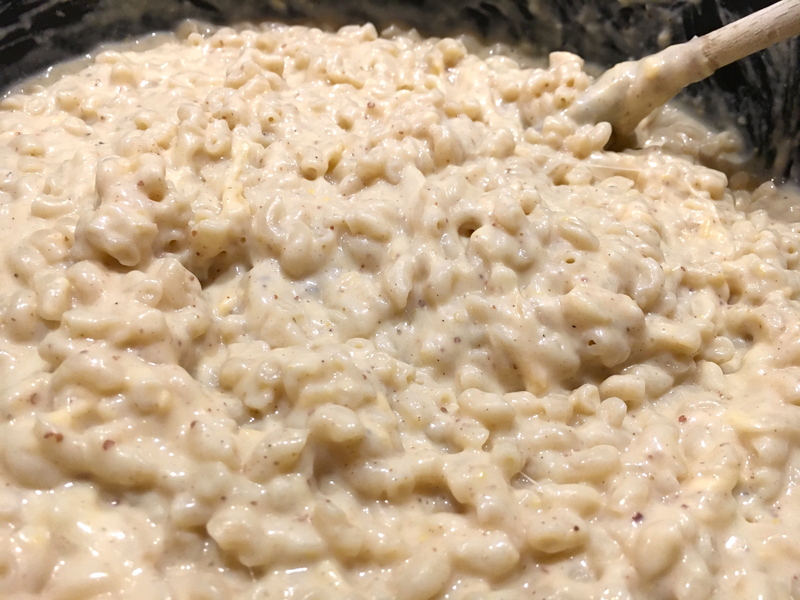 Stir constantly for a minute or two, until it thickens, then slowly stir in the milk. 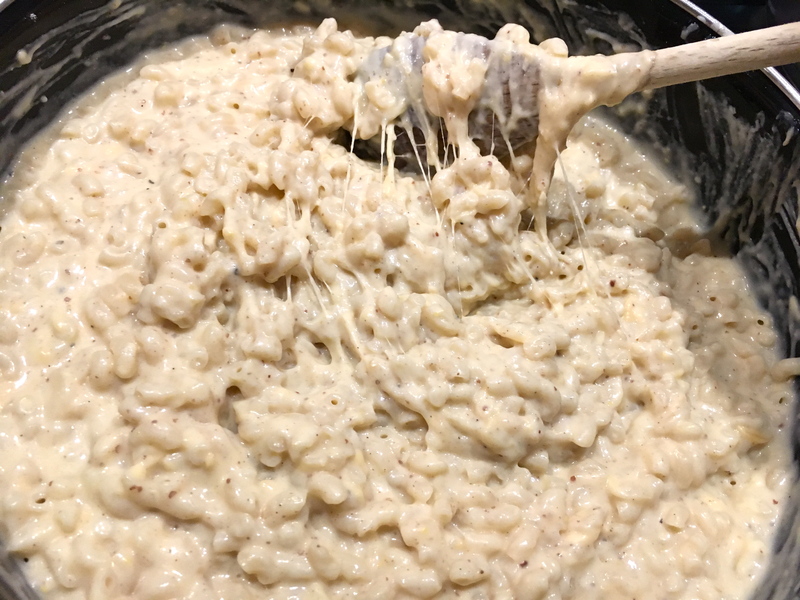 Continue to cook, stirring constantly until the sauce bubbles and thickens. 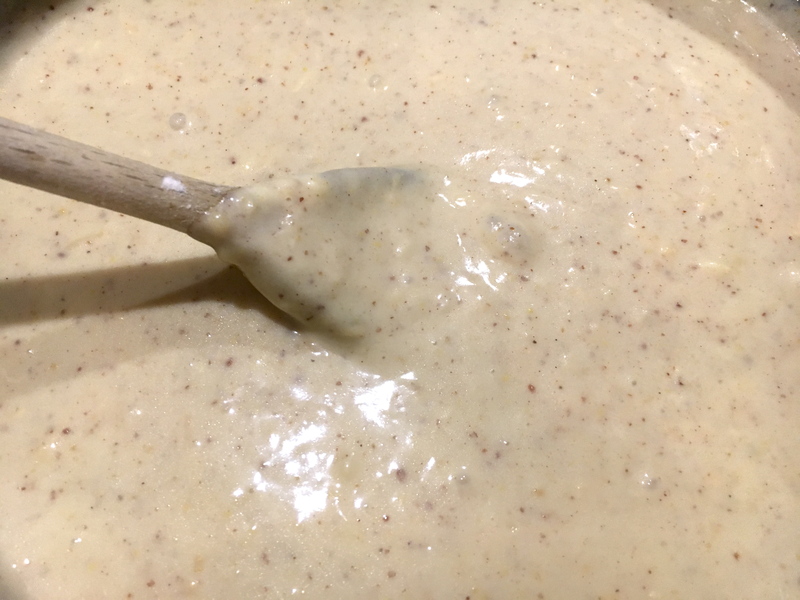 Season the sauce with a 1/2 teaspoon of salt, pepper, Pumpkin Spice (or nutmeg), and mustard. 6. 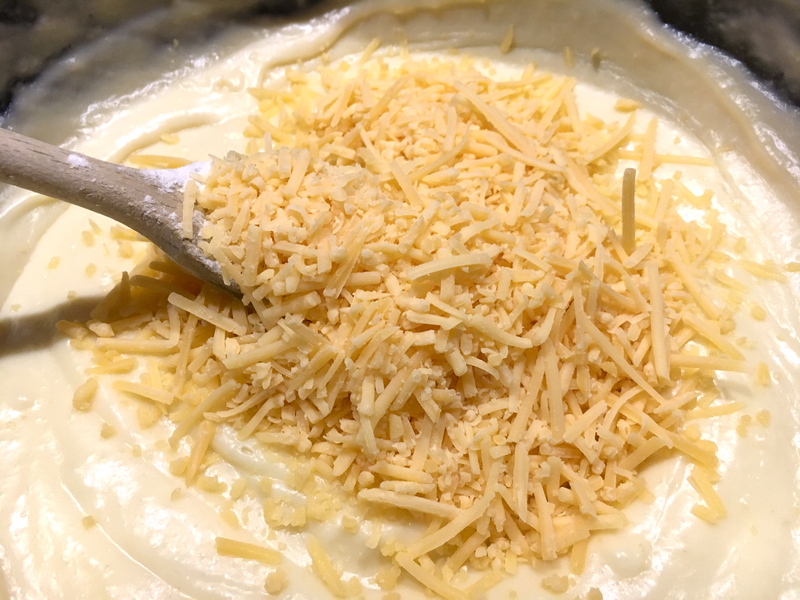 Stir in most of the grated cheese (keep a small handful for later) until it has melted and the sauce is smooth. 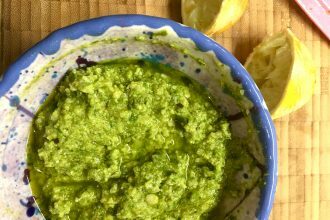 Taste the sauce for seasoning and adjust with more salt or pepper. 7. 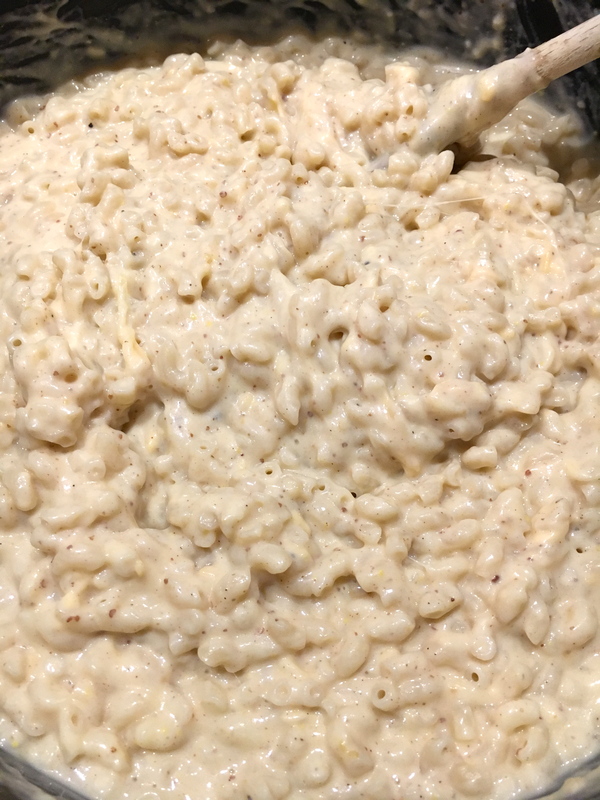 Stir in the macaroni, mixing it until completely combined. 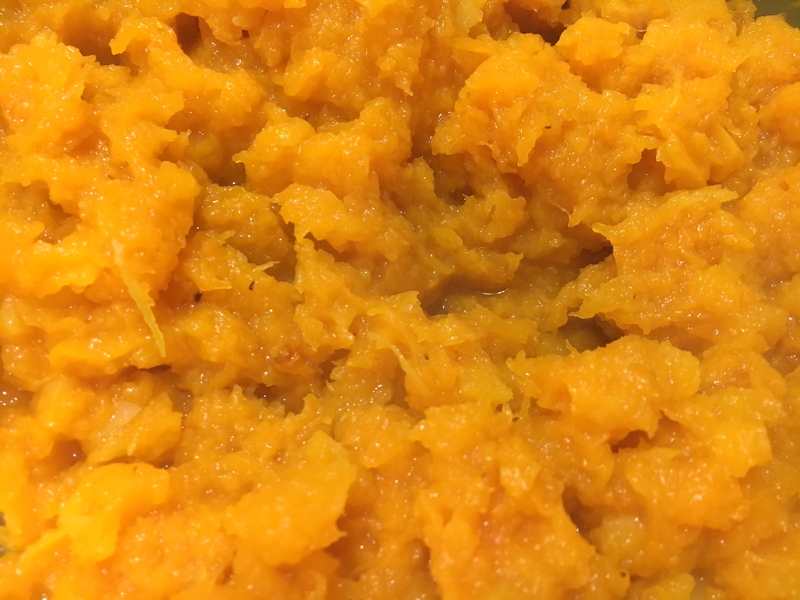 If you’ve made a pumpkin or butternut puree, stir it in also. 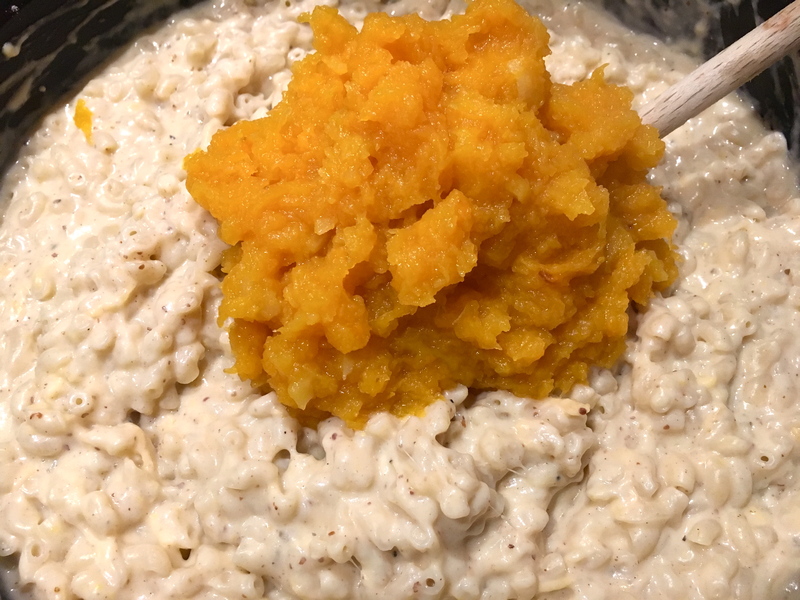 Take off the heat, and spoon the mixture into the pumpkins. 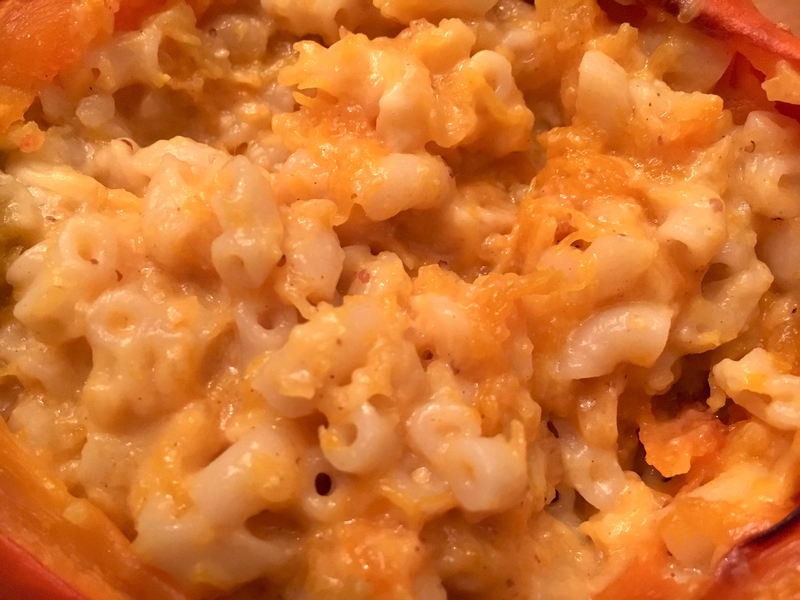 Top with the remaining cheese, then return to the oven for another 15 – 20 minutes. Serve hot.